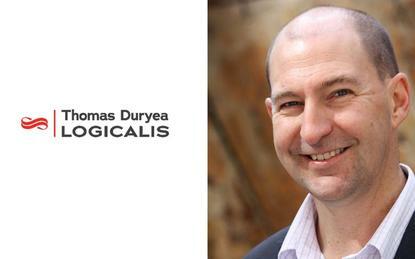 Thomas Duryea Logicalis’s (TDL) new national security practice chief, Gavin Coulthard, is gearing up for a major hiring spree as he works to build out the new business he is now heading up. Coulthard, who was formerly a product sales specialist for Citrix, was named as the technology provider’s new national security practice manager on 23 October. The appointment of Coulthard in the newly-established role came roughly five months after the company wrapped up the restructure resulting from the merger of Logicalis and Thomas Duryea. Logicalis struck a deal to acquire IT infrastructure consultancy, Thomas Duryea Consulting, for an undisclosed sum, in late 2015. In May, the combined entity restructured its business and adopted a new go-to-market strategy, with plans to bring on new talent to build out new practices, one of which was security. Just days into the newly-created role, Coulthard is now on the hunt for fresh security talent to build out the team that will ultimately drive TDL’s new security practice. “We’re definitely looking at opportunities in the short, medium and long-term where we can hire and recruit security talent to help deliver on the vision,” Coulthard told ARN. “We’re definitely looking at solution architects to help guide customers through developing a strategic direction to security, and then looking at capabilities to assist in delivery. While Coulthard won’t be drawn on precisely how many people he wants to take on to fill his practice’s ranks, he suggested that TDL doesn’t want to go “too hard too soon” while also hinting that the security team could end up comprising a fairly prominent part of TDL’s operations. “We’re still working on the overall strategy with the TDL management to see how big this thing can be,” he said. “We want to make sure we get it right. We’ve got the opportunity to work with this clean sheet of paper. “When you look at the customer base of TDL and the overall size of the organisation with respect to the other components, we need to ensure that we deliver a security practice that’s capable of meeting our breadth of customer’s requirements,” he said. Right now, according to Coulthard, the company is looking for growth and, as such, is looking to ensure that it has the right skills and capabilities to deliver that growth. For TDL CEO, Michael Chanter, the budding security practice is nothing less than “fundamental” to the company’s future business. “Security is an essential component of the digital transformation journey and Gavin’s experience in the IT security industry, coupled with his team leadership skills, perfectly positions him to lead this strategic practice,” said Chanter, in reference to Couthard’s appointment earlier this month.